Xiaomi is known to have launched a smartphone called Redmi Y2 in India. This smartphone is called re-brand from Redmi S2 will be present with color variants Elegant Gold, Rose Gold, and Dark Gray. If you already know a lot about Redmi S2, the specifications are almost the same from the Redmi Y2 presented. For example, from the side of this smartphone display is packed with IPS LCD screen measuring 5.99 inches with Full HD + resolution. To support its performance, this smartphone diotaki by Snapdragon 625 processor and will come with a combination of 3GB / ROM 32GB RAM and 4GB RAM / ROM 64 GB. Smartphones are also said to have provided a separate microSD card slot that allows users to expand its storage. In the moment wearing device sector, Redmi Y2 has buried 16 MP front camera equipped with soft-LED and has AI capability. Armed with aperture f / 2.o smartphone camera offers a viewing angle of up to 78 degrees. On the back of the Redmi Y2 smartphone is a 12 MP + 5MP dual-camera sensor equipped with a number of attributes such as dual-tone LED flash, AI portrait shots, low-light photography AI, and HDR. 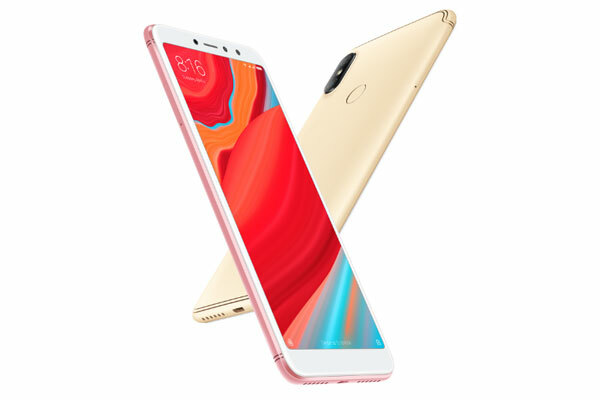 For the security and ease of users when accessing smartphones, Redmi Y2 also has AI-based face recognition features as well as fingerprint sensors. Xiaomi Redmi Y2 runs Android 8.0 Oreo with MIUI 9.5 on it. Not to forget, this smartphone also provides adequate connectivity features, which already brings 4G VoLTE capabilities, dual-SIM support, Wi-Fi 802.11 b / g / n, Bluetooth 4.2, GPS, microUSB 2.0, 3.5mm audio jack, and IR blaster . Targeting young users, in India smartphone sold equivalent 149 USD for 32GB version and 193 USD for 64GB version. 0 Response to "Official, Xiaomi Redmi Y2 Supported Camera Selfie AI Tech"